Let’s all “Rally the World” around Michael Jackson’s lifelong commitment to a non-compromising lifestyle and heartfelt philosophy of “Global Peace, Love & Unity” while preserving the “Legacy of the Legend”. Purchase this one-of-a-kind “Legacy of the Legend” LVH Magazine Limited Edition Commemorative issue and you will be helping the “Jackson Family Heritage Foundation” do just that. 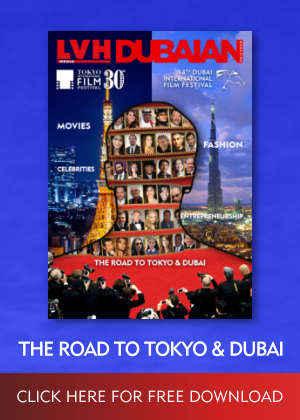 By ordering your copy of this breathtaking “Legacy of the Legend” Limited Edition LVH Magazine, you are automatically helping to preserve the charitable and humanitarian legacy of Michael Jackson. 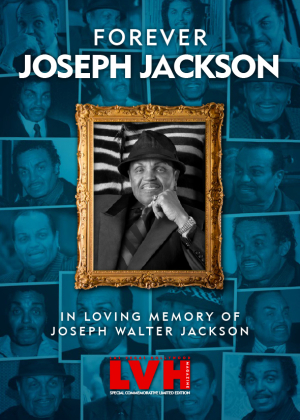 Portions of the Net Proceeds from the sales of this special collectible publication and all other “Jackson Legacy Theme” products sold from our Las Vegas Hollywood Magazine website will be donated to the Jackson Family Heritage Foundation on behalf of it’s Charitable Mission. Please make your selection below and “Thank You So Much” for your purchase. Enjoy this incredible and beautifully crafted publication that chronicles the historic royal legacy of a remarkable family of entertainment and it’s incredibly gifted young “Prince” who would one day become “King”. “This Limited Edition LVH Collectors Item is an Official Licensed Product Sanctioned by the Jackson Family Heritage Foundation, Inc. Portions of the Net Proceeds generated by the “Legacy of the Legend Global Marketing Campaign”, Merchandise Line and/or Special Charitable Events Produced in association with, endorsed by and/or sanctioned by the Jackson Family Heritage Foundation will be Donated to the Foundation on behalf of its Charitable Mission. The Jackson Family Heritage Foundation is a Tax Exempt Non-Profit Organization Established for the Advancement of Global Peace, Love & Unity & Youth Empowerment & Academic Achievement through Educational Partnerships by way of the Performing & Visual Arts in Honor of the Legacy of the Legend & the Epic Memory of “Michael Jackson”. Join the Official Jackson Family Heritage Foundation at: www.JacksonFamilyFoundation.us Today! Share Our Global Movement with Your FaceBook Family & Twitter Friends!